Home Social Media Multimedia Message Service (MMS) Is Dead, Is SMS Also Dying? Multimedia Message Service (MMS) Is Dead, Is SMS Also Dying? In those days after the advent of the common Short Message Service (SMS) came the era of Multimedia Message Service simply abbreviated as MMS, which is an extension of SMS and that allows people send out multimedia messages to one another. With MMS you can easily send out media files such as photos, sounds, videos etc. to friends and family in similar fashion that you will send out SMS but while SMS is compatible with virtually all type of phones, MMS on the other hand requires some sort of higher end phones that will be able to send, receive and hand multimedia files. Just like SMS, when sending out MMS, the multimedia files are held in the network provider servers and are delivered to active designated recipient by the network provider to complete the sender-receiver sent action. But the question that now resonates from the mouth of many is that in this present era, do people still use MMS? In today’s world when we now have different social media and chat platforms that enhance and even make it easier to send and receive multimedia files, the need for MMS is now becoming less attractive and most individuals cannot remember the last time they used the MMS to send multimedia files, hence we say that MMS is now dead and irrelevant in modern usage. Even SMS, which is one of the mainstream features and services of virtually every phone has witnessed tremendous decline in usage over the years and we are tempted to further ask if SMS is also dying because it all seemed that in the next couple of years to come only a handful of folks will still be seen composing SMS. 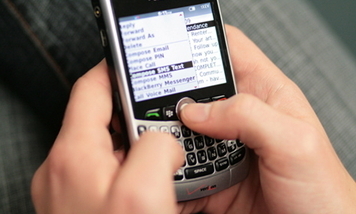 Do you ever envisage total neglect of SMS in future or how often do you now use SMS as compared to the past?